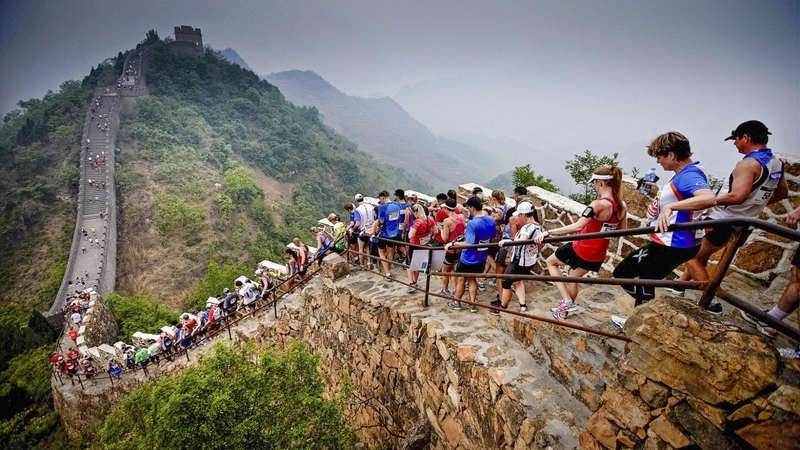 Our pick of the best half marathons worldwide. Our run down includes coastal trails, lions and antelopes, cheering crowds and Bellagio fountains. But, most importantly, these are the most outstanding and fun 13.1 mile adventures of 2019. Make this year memorable and see where your legs might take you. The route: 5164 vertical steps along one of the great Wonders of the World. Yup, you guessed it, this is for experienced runners only. Run it for: The history, the bragging rights, the step count. Definitely one of the world’s most challenging half marathons. Don’t worry, people do walk up the steps. The field is small at just 2500 overall (including the full marathon) so this is an original experience like no other. The finish is located in Yin and Yang square in the old Huangyaguan fortress so expect some incredible finisher’s photos. The route: A beautiful loop along a designated Area of Outstanding Natural Beauty. Run along cliff tops, through woodland and along the beach. This race features some of Britain’s most stunning views. Run it for: The scenery and varied trail terrain. Not for the faint-hearted (this race is in Wales which has some of the highest rainfall in the UK) it’s perfect for those with a true sense of adventure. But if the weather is good, it’s very, very good. The Gower peninsular is famously beautiful with white sand and blue sea if you catch it on a good day. These races are hugely popular in our London office, being incredibly well organised with an excellent atmosphere and camaraderie. What’s more, you can rest easy as there’ll always be an excellent Welsh pub at the end. The route: It might only be 11 miles, but the beautiful up and down road of the Big Sur coastline makes up for the last stretch. It’s a point to point race, starting at Big Sur station and winding along the coast, up Hurricane Point and finishing in the town of Carmel. Run it for: Stunning views of the pacific ocean and potential whale spotting. The event welcomes both runners and walkers, and with the addition of a 21 miler there’s definitely something for everyone. Travellers come from far and wide to cruise this stretch of Route 1 and with completely closed roads, you’ll have it all to yourself. 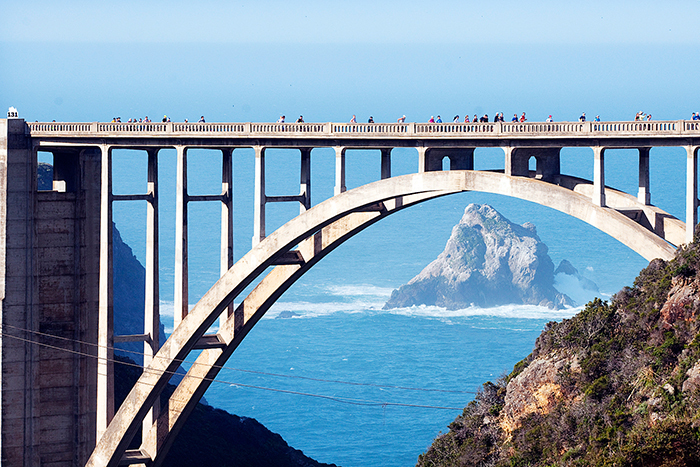 Not to mention the medal, which features the famous Bixby Bridge. The route: Two loops through the city starting in front of the Greek Parliament buildings, around Mount Lycabettus passing the Acropolis twice and taking in the sights of Athens. Run it for: The history. Athens was where the marathon was born (and the medal’s pretty good too). 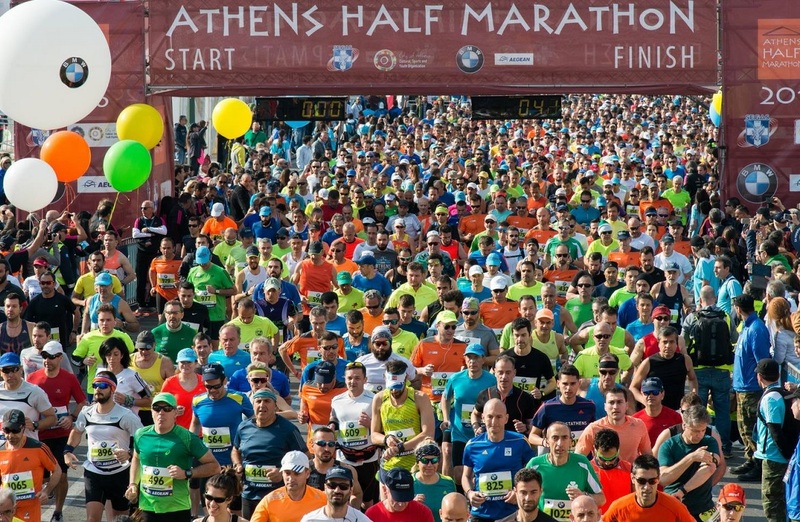 One of the most popular running events in Greece, you can expect some serious support along the route. Supporters turn up in force to cheer you on as you run through the historical district. An excellent way to see the sights without having to brave the museum queues. The route: Starts at East 72nd Street, passing all the sites like Times Square and Central Park and finishing on Wall Street in Manhattan. Run it for: The atmosphere. The streets are lined with supporters and the medal and t-shirt are as cool as it gets. 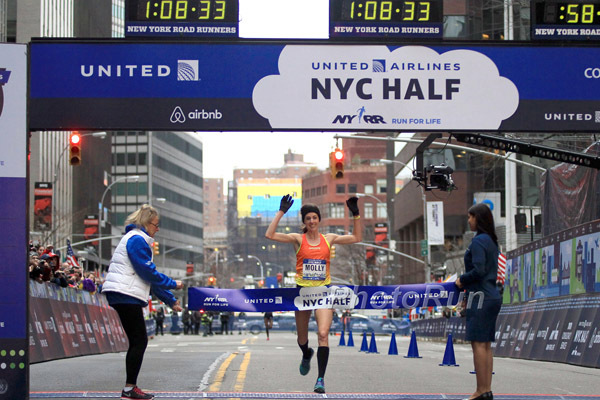 Organised by the same guys that run the hugely oversubscribed NYC marathon (NY Road Runners) this event is a huge occasion in the US running calendar. This race is big for elite athletes, expect to share the road with the likes of Mo Farah, Dathen Ritzenhein and Catherine Ndereba. 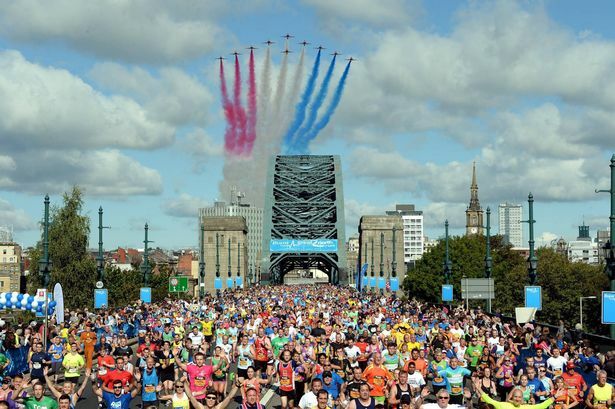 The route: A point to point road race starting in Newcastle-upon-Tyne, crossing over the iconic Tyne bridge and making your way to the coast via South Shields. Undulating route with a max elevation of 65.1 metres. Run it for: The atmosphere, the wow factor and the post-race pubs. With 50,000 runners competing in this race, it’s arguably the biggest half marathon in the world. The route will certainly keep you entertained. Expect bands, singers, cheerleaders and thousands of supporters lining the streets. The Royal Air Force Aerobatic Team, the Red Arrows, put on a greatly anticipated air show every year. This race really pulls out all the stops. 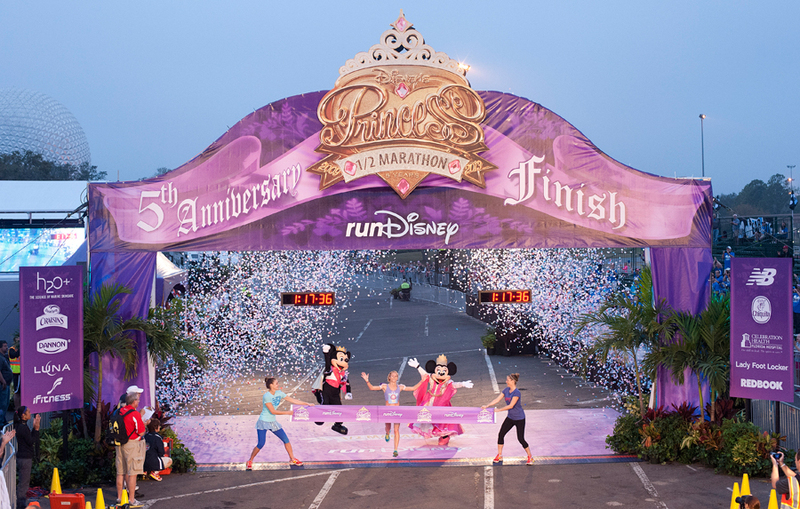 The route: Run 13.1 miles through Disneyland Florida resort with Mickey, Minnie and the whole gang. The costumes at this race are unrivalled. Run it for: Your favourite Disney characters, hanging out with family and friends and all round good vibes. This is an excellent race for families, there’s a 5k, 10k and kids race as well so why not make a whole weekend of it. This race prides itself on an amazingly light-hearted and fun atmosphere. Dressing up is obligatory; whether it’s Nemo, Elsa, Goofie or Jafar you’ll need to just throw yourself into this one. The route: Looped road route starting and finishing in Po’ipu. 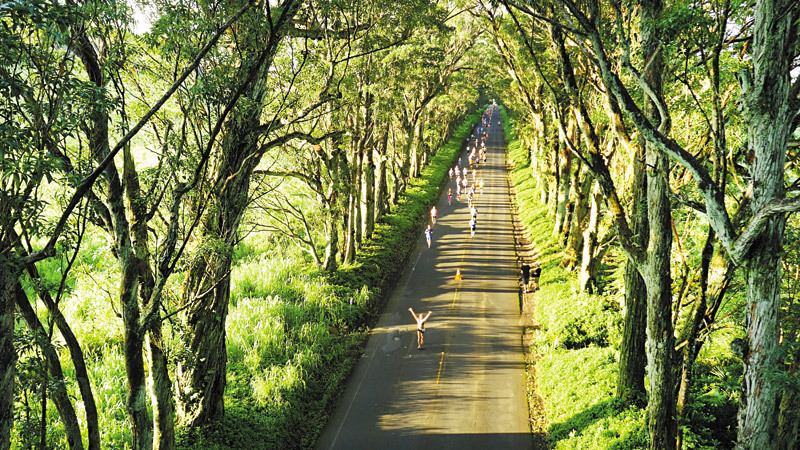 Runners take in some of the Garden Island’s most stunning ocean views, volcanic peaks and tropical rainforests (including the famous shady tree tunnel – very cool indeed). Total race climb is 251 metres. Run it for: The scenery, the hula dancers and taiko drummers en route, and of course the afterparty. This is the definition of destination half marathon. White sands, perfect blue seas and an incredible atmosphere on the course, who could ask for more. The route takes you on a journey full of natural wonders including canyons and waterfalls. This really is a half marathon to remember, and we promise it actually is downhill to the finish. The route: Run on a mixture of sand, concrete and dirt road. The route takes you through the South African savannah, through a few hilly sections in wooded valleys and then into lion country. This is a truly wild route and certainly one to tell the grandchildren about. Run it for: As the title suggests, there’s big game out there. 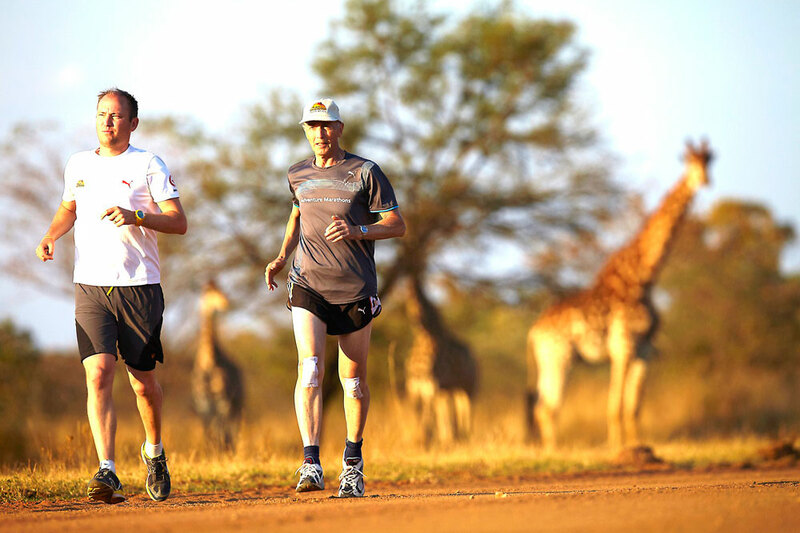 Look out for giraffes, lions and zebras and make friends with runners from all around the world. This race has been given incredible reviews from so many people, commonly described as ‘an adventure race par excellence’. Expect to book a package for at least a week to go on safari and explore the 220km private game reserve. The Limpopo region is just between Jo’burg and Kruger National Park, and the temperature is around 60 – 75 Fahrenheit during the day so it’s not crazy hot. The route: An out and back route along Las Vegas’ most famous lit up casino strip, see the Bellagio fountains and High Roller observation wheel. Run it for: A night to remember! This event is crazy, just watch the video. 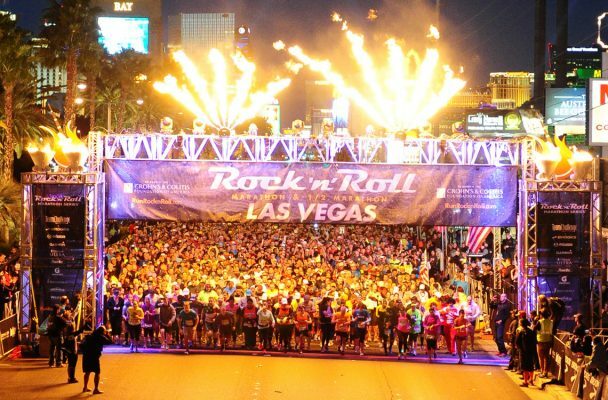 The organisers have managed to shut down the length of the Las Vegas strip and close the roads for thousands of runners. This is a full sensory experience with a neon light show, music blaring along the course and a pre-race headliner concert. 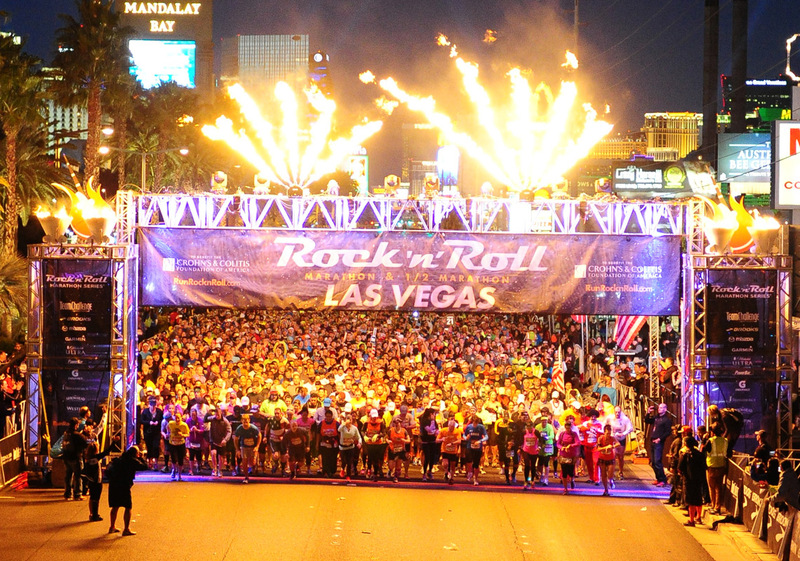 The half marathon starts at 4.30pm on Las Vegas Boulevard, so it’s safe to say you’re straight into the afterparty at the finish line. 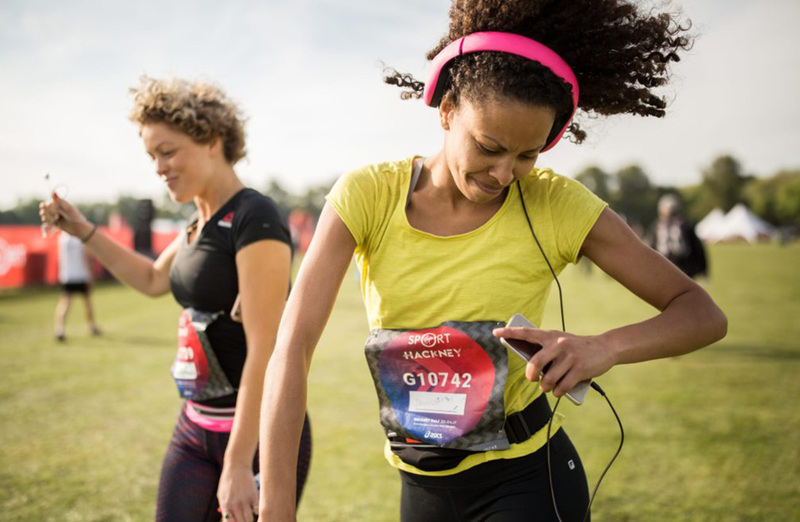 The route: Run your way through East London on closed roads, through the trendy borough of Hackney with live bands and DJs lining the route. Run it for: The crowds, the atmosphere and the post race festival. Our team absolutely love this race, it captures the great spirit of London and the atmosphere is electric. Crowds line the route (some weaving their way home from the night before) and the music is second to none. Expect to see all the London running clubs and charities on the route, and be sure to stick around for the post race festival with a Main Stage and food vans. 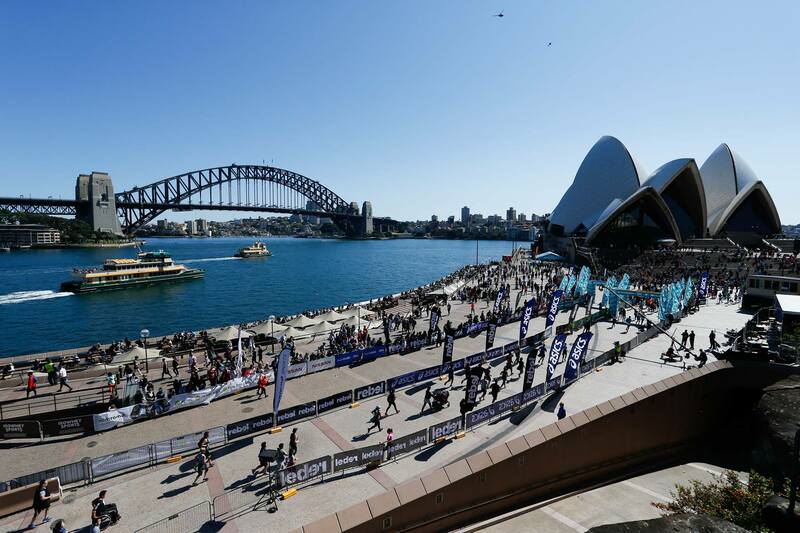 The route: A twisting route that crosses the Sydney Harbour Bridge and finishes in front of the Opera House. A serious sight seeing tour but without all the tourists. Run it for: The scenery, the cheering. It’s an early start at 6am but you’ll be thanking the organisers by the end, particularly when there’s lots of time to party on the beach with a beer in hand! The route is famously scenic, a real grand tour of what Australia’s capital has to offer. Expect cheering crowds along the route (it’s an excellent one for spectators so bring the loved ones). Best for running rather than walking as there are cut-off times.